The 2018 Queen's Beasts Griffin 10oz Silver Coin is another edition from the Royal Mint and is part of the successful Queen's Beasts range. 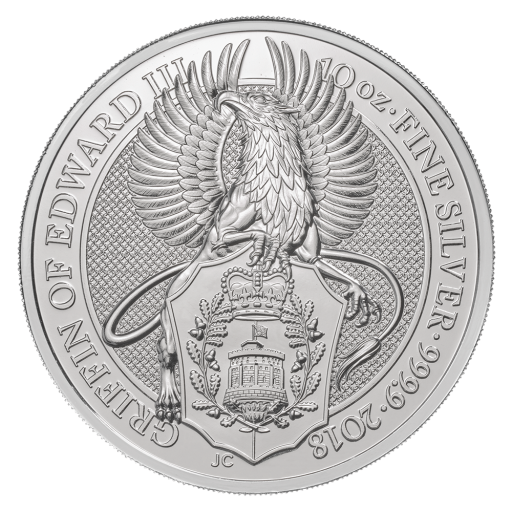 Buyers of the coin receive a sturdy 10 troy ounces of .9999 pure silver. The Griffin of Edward III is said to convey courage,strength and vigilance.